The Isabella North is a 4 panel windbreak that uses Isabella's Isacryl material. 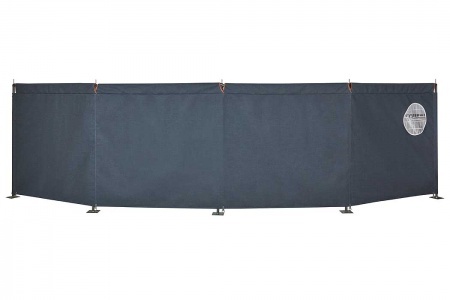 This windbreak also comes with guy ropes, pegs, the Stabilo system and CarbonX poles as standard. Carbon X poles combine the high flexibility of fibreglass with extremely strong carbon fibres. They also significantly reduce the total weight of a set of poles. Poles: CarbonX - a carbon-fibre reinforced fibreglass frame, is suitable for both permanent and touring caravanning. Carbon Fibres are combined with glass fibres in varying amounts, according to pole diameters, to offer maximum strength. The poles are light and fully corrosion-resistant.